Here, also, on the day of Bonaparte's coronation, the members of his family assembled in their gorgeous toilettes to join the imperial procession to Notre Dame where the Pope himself was waiting to crown Napoleon Emperor of the French. Holding Josephine by the hand, Napoleon here received the congratulations of his brothers and sisters, who, at this supreme moment, seemed to forget the petty jealousies and hatreds which often make them seem so despicable in the light of history. 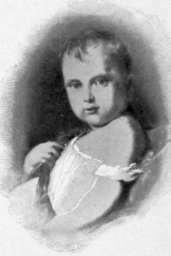 Napoleon himself was evidently moved, but gave utterance to his thoughts in only a few laconic words: "Joseph," he exclaimed, turning to his elder brother, and gazing with pardonable pride upon the family group, "if our father could only see us now!" 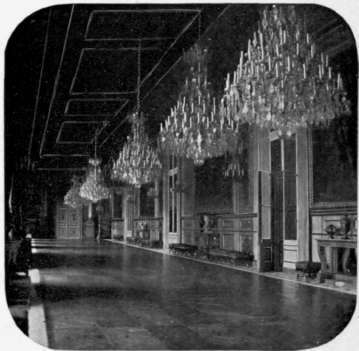 The State dining-hall of the Tuileries, known as the Gallery of Diana, was particularly associated with the Second Empire of France, and was adorned with a marble bust of the Empress Eugenie, who presided over many banquets here with the grace and tact for which she was distinguished. 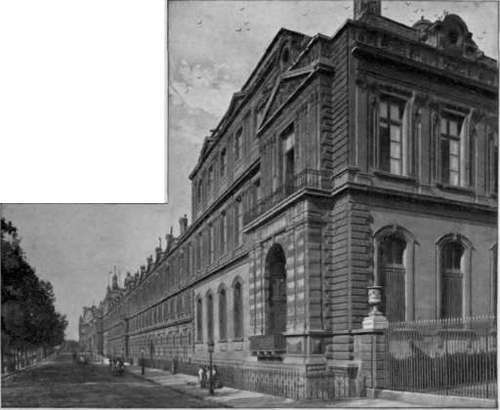 Yet, in 1870, when the news of the surrender of her husband at Sedan reached Paris, she was obliged to flee in the disguise of a servant from these historic halls, where she had reigned as an empress for a score of years, and barely escaped the excited populace without by taking refuge in the residence of the American dentist, Dr. Evans, under whose protection she was secretly conveyed to England. The Gallery Of Diana, Tuileries. At the end of this gallery, previous to its destruction, stood a statue of Eugenie's son, the Prince Imperial, attended by his favorite dog. 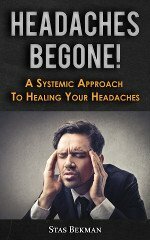 There was something intensely pathetic in the sight of that boyish figure. Few lives have seen a dawn so full of splendor as had his, yet few have ended in such speedy gloom. A strange fatality has seemed to follow the offspring of the Bonapartes. Who that beheld Eugenie in the period of her glory, standing in the Gallery of Diana with her little son, destined apparently to ascend the throne of France, could ever have supposed that she would one day make a pilgrimage to an uncivilized continent, and in the jungles of Africa, - throneless and childless, a widow and an exile, - would kneel down to bedew with tears the spot where her idolized boy, born and reared in the Tuileries, had lain in death, his body stabbed with sixteen spears, and even his eyes, which had so often looked with love upon his mother's face, pierced by the darts of naked savages! Beyond the site of this historic palace, one naturally steps into the spacious square known as the Place du Carrousel, which was originally bounded at one extremity by the Tuileries and at the other by the Louvre. In the centre of this area stands an arch of triumph, which, like the grander one in the Champs-Ely-s£es, was erected by Napoleon I as a memorial of his victories. Upon its front of polished marble, surrounded by statues and reliefs commemorating heroes and heroic deeds, is inscribed a brief record of the wonderful campaigns of Ulm and Auster-litz, couched in those glowing words which Napoleon knew so well how to employ to arouse the enthusiasm of his soldiers. The bronze steeds now attached to the triumphal chariot are not the ones that met Napoleon's gaze. The horses which he placed here were brought, at his command, from Venice, where they had stood for centuries above the portal of St. Mark's Cathedral; but, after Waterloo, they were restored to their old position in the City of the Adriatic. 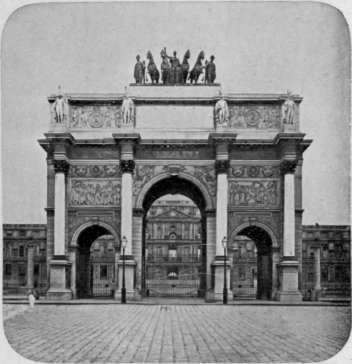 The Arch Of Triumph, Place Du Carrousel. Beyond this arch, and still forming the eastern boundary of the Place du Carrousel, is the Palace of the Louvre. There are some buildings in the world which do not seem the property of any one nation. They belong to mankind. They are like cathedrals, continually open to all worshipers, - the rich, the poor, the grand, and the obscure. One of these is the Louvre, - the priceless art museum of France. 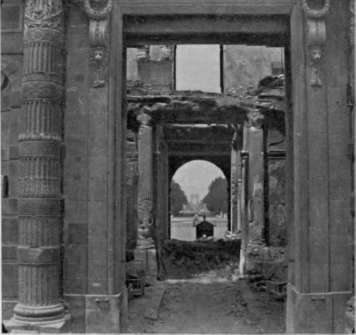 It seems needless to say, that the destruction of any one of its departments - Sculpture, Painting, or Antiquities - would be an irreparable loss, not only to the present age, but to all coming generations; yet it is well to remember that there are many, even among the French people, who do not share these sentiments. Not long ago, in this much vaunted nineteenth century, Communists poured petroleum over this edifice and undermined it, intending to destroy it with powder. It is appalling to think that at that time a spark could have produced here an explosion which would have put the whole world in mourning. As it was, the Louvre so narrowly escaped destruction, that only by rare fortune do its works of genius still remain to furnish joy and inspiration to the world. "What was the motive of this act of sacrilege?" one naturally asks; for in 1870 the Louvre was not, and had not been for fully two hundred years, a residence of royalty. The cause was doubtless that sullen hatred felt by the lawless and depraved for anything which seems to them symbolic of a class superior to themselves in culture and intelligence. An anarchist recently expressed this feeling at his trial, when he cried" Let us destroy everything that is beautiful! Let us spit upon everything that enslaves us to a Fatherland! Long live anarchy!"